Pyramids Fortune launched in 2017 with a striking theme and simplistic layout. Because it’s a Nektan site, we at Place a Bet Online had a feeling we could look forward to some impressive new player bonuses; but is it a casino you’d want to keep returning to? Describing themselves as a fun and exciting place to play mobile casino games, we know Pyramids Fortune already ticks a couple of our boxes. Firstly, they are available on both desktop and mobile devices, include iPhone, Android and tablets. Secondly, they offer an array of games for those devices, including casino, progressive jackpots, slots, live casino and instant wins. Many of these are from the top gaming providers, so you can enjoy old favourites such as Starburst and Cleopatra. •	Accepts Boku pay by mobile banking. So even for a minimum £10 on each occasion, you’ll still enjoy £35 extra or a grand total of £65 when you include the deposit amount. Tuesday Match – If you deposit on a Tuesday, then Pyramids Fortune will give you a 50% cash match bonus up to a whopping £100. Choose your Match Weekend – Most of us love the weekend, because it’s that special time to relax and play our favourite games. 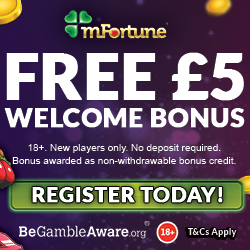 If you deposit on Pyramids Fortune up to £25, you’ll get a 50% cash match bonus. 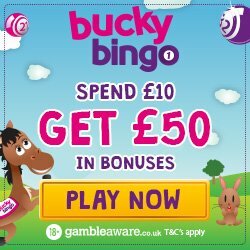 But wait, because if you deposit between £26 and £100, you’ll receive an amazing 100% cash match bonus. It’s not just great gaming at Pyramids Fortune, because if you’re a loyal player you could become a member of their privileged scheme. 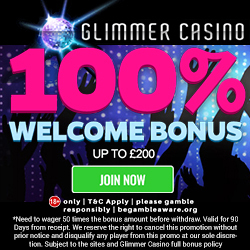 This is invitation only, but as a member you can enjoy a number of rewards such as cashback offers, weekly bonuses, deposit rewards and spins. Sometimes luck isn’t on our side and things can go wrong, or we need to speak to someone to ask a simple question. This is when you will want to contact the Pyramids Fortune representatives, which you can do via email, telephone, post or on their live chat button. There is an FAQ section which covers general queries around depositing and bonuses, so this maybe a good place to start. Pyramids Fortune accept the usual banking methods including Credit and Debit Cards, Skrill, Neteller, Paysafe Card and Boku pay by phone bill. 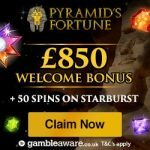 So if you’re ready to join this incredible site and hopefully win Ramesses riches, then simply head over to Pyramids Fortune and enjoy those new player bonuses.